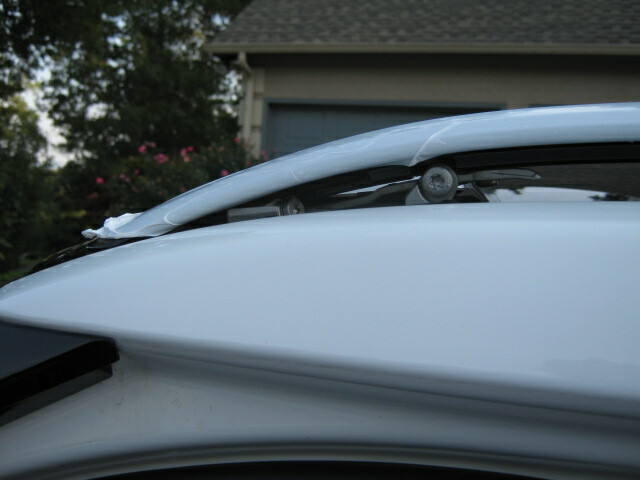 Roof rails will be here Friday. Anyone have a how-to on the installation of the rails? I'd love to do it myself but would appreciate any tips or tricks on how it's done. 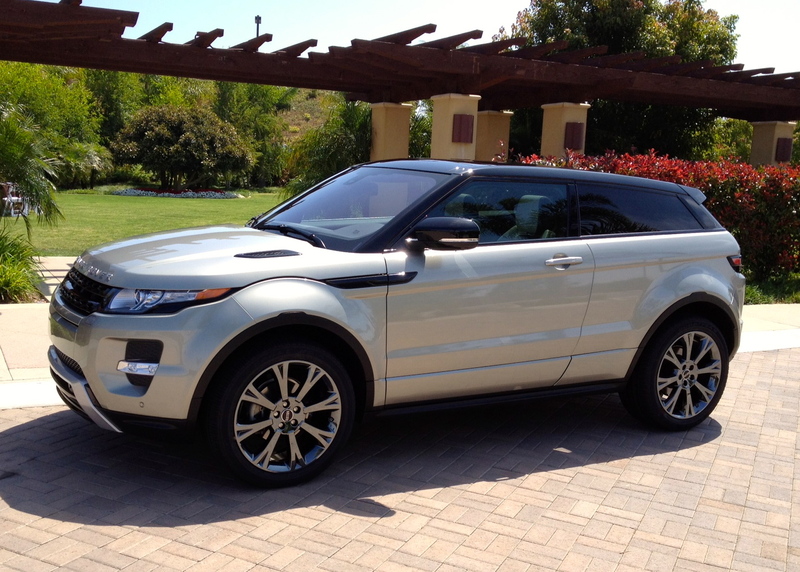 2012 RR Evoque Dynamic Coupe, Ipanima Sand / Sadly gone! 2013 Porsche Boxster for my wife! I assume they will come with the mounting instructions that are strictly visuals...no written directions. They seem self-explanatory. If for any reason you don't get instructions I can forward them to you. My rails arrived today and I installed one tonight after work. It took about 30 minutes to install the first and alot of that was popping off the original covers while trying not to break them. Success on the rear but not on the front so its a good thing that they get discarded. I also had a bit of confusion with the plastic spacers that you use to install the brackets, but then remove once the metal brackets are bolted down. All in all it was simple, and tomorrow I will try to do a photo shoot while installing the other rail. Again this is not hard to do, but you will need a 1/4 in metric torque wrench, torx bits, a plastic kitchen spatula, and about 30 minutes per side. I actually kept the original covers, mainly because if I ever need to take off the rails for any reason I'd still have them and wouldn't have to buy new ones or run into any issues with the color not matching perfectly on the new ones. So here is what the first one looks like after mounting. I like the contrast of the black on white. To install the rails you need to pop off the covers at each end. These are plastic and may break, but they are discarded. 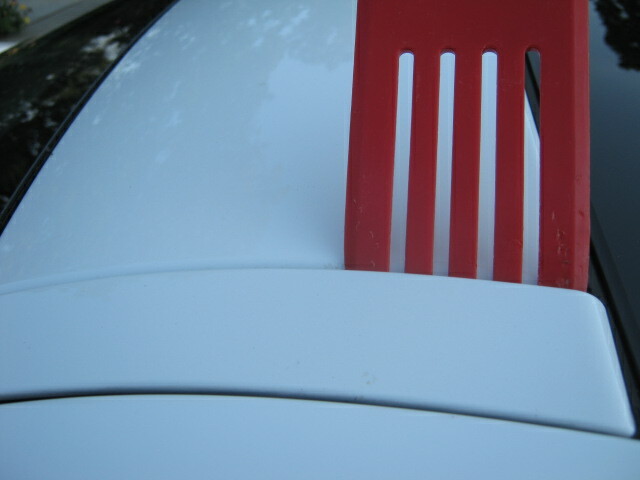 A plastic kitchen spatula helps here. Be very gentle if you want to save these. 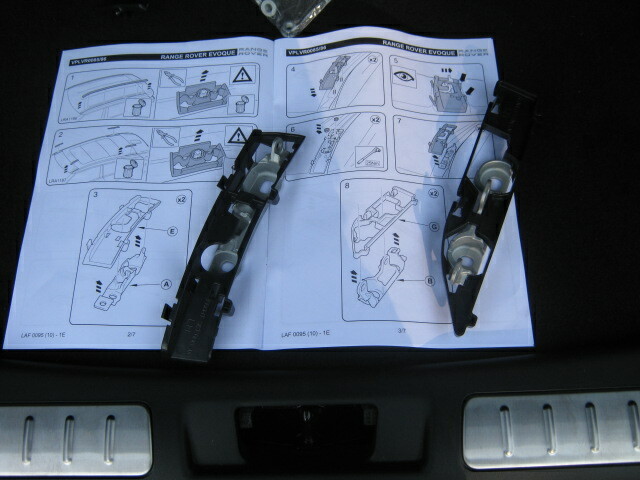 Then you will need to attach the setting pieces to the rail mounts. These help align the brackets for you. Bolt them in place and torque to 25 Nm. Then remove the setting pieces. Now the finishing kit pieces are set in place. not much force is needed, just pop them on. (sorry no pic but you will easily see what to do. Bolt the rail in place. 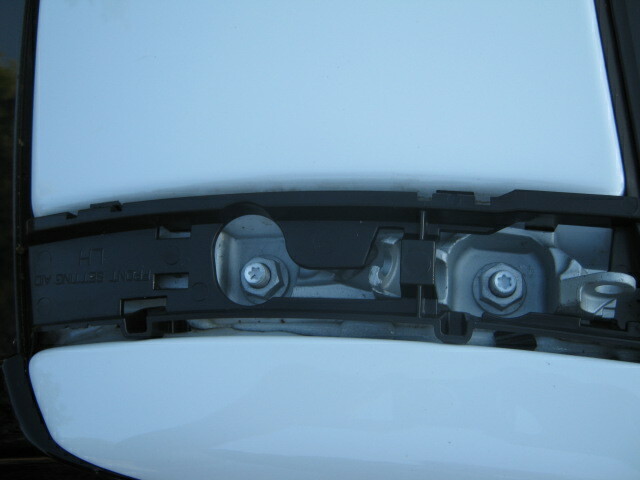 Be careful when setting it in place watch the front and back positions and align the holes for the torx bolts. Tighten them up as you use a little bit of pressure to align the holes. 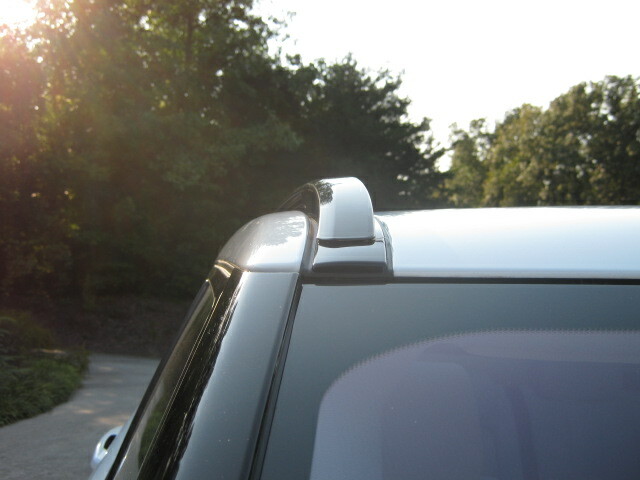 Last thing is the trim covers. 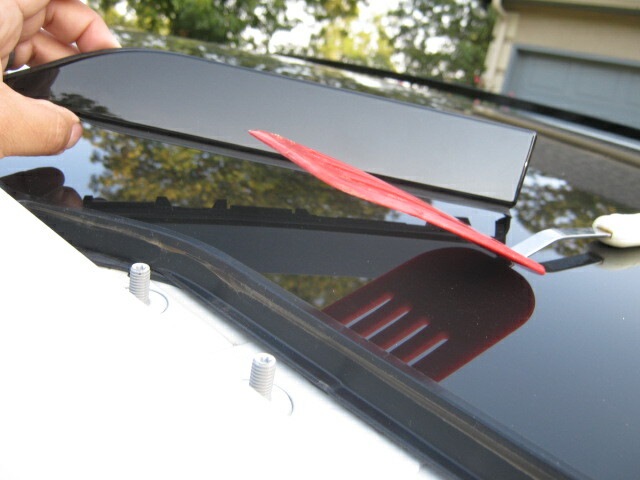 they provide you with some clear plastic to protect the roof finish when you install these. 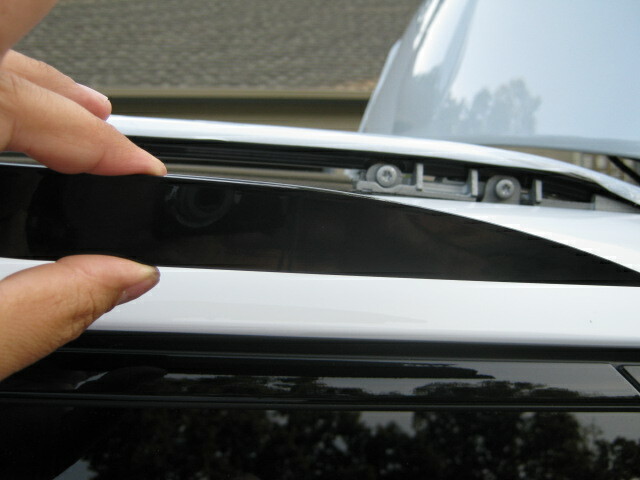 Its like clear tape/ Slide the trim covers in to place and push them into position. 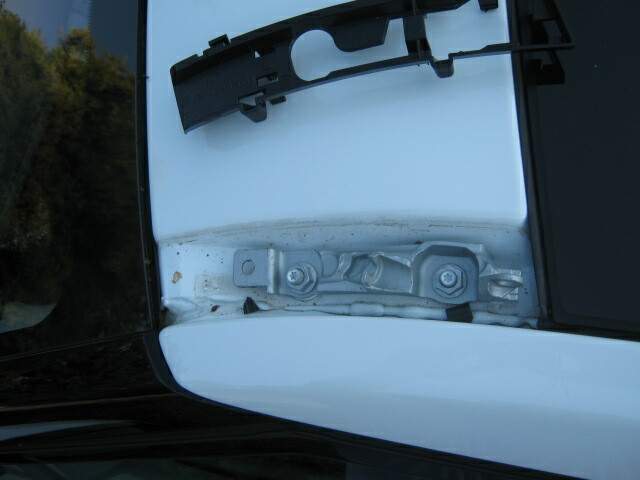 They snap into place from the outside pushing under the metal mounting bracket and above the finishing piece. Total time is right around an hour. 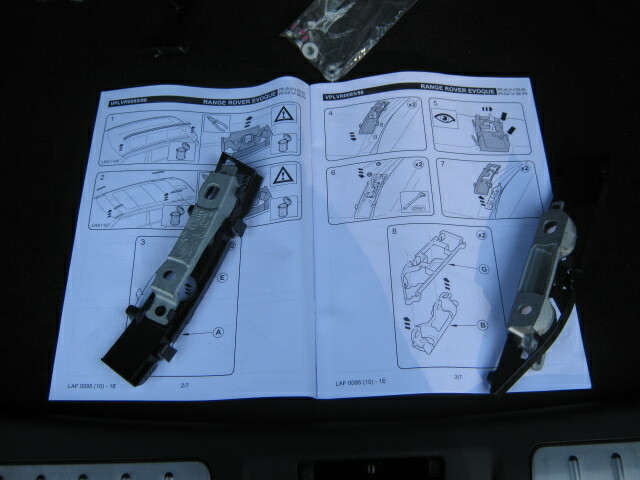 Its handy to have a small torque wrench and a plastic kitchen spatula. Use an old one that she keeps at the bottom of the drawer. 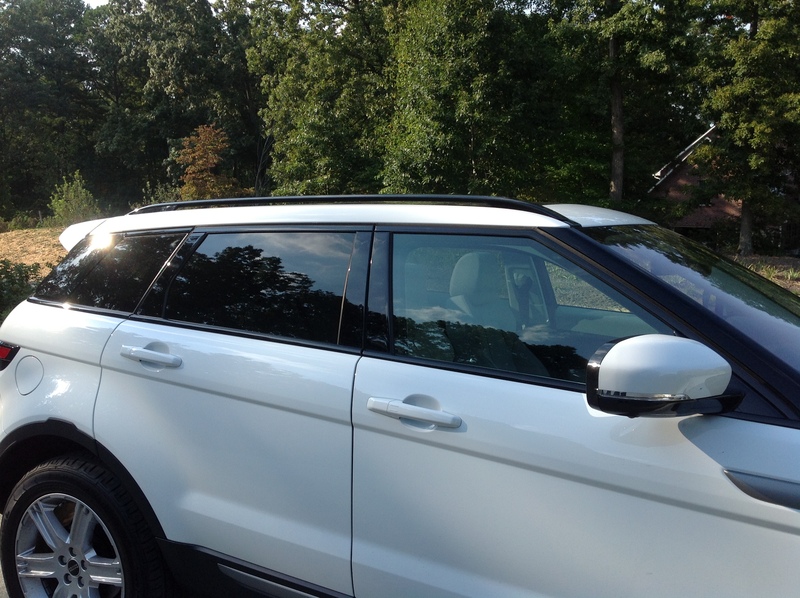 Dogscout, thanks for posting those great shots of your install. Would love to see some wide angle shots of the whole car with the rails so please post more photos of the finished car when you're done. Thanks again! Nice job with the rails. Looks great. Thanks for posting the pics. 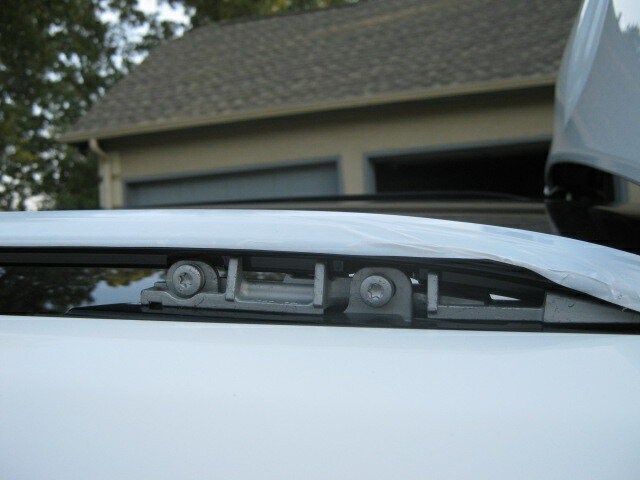 I just bought the rails in silver and will be installing them on Friday myself. I have the pano roof. 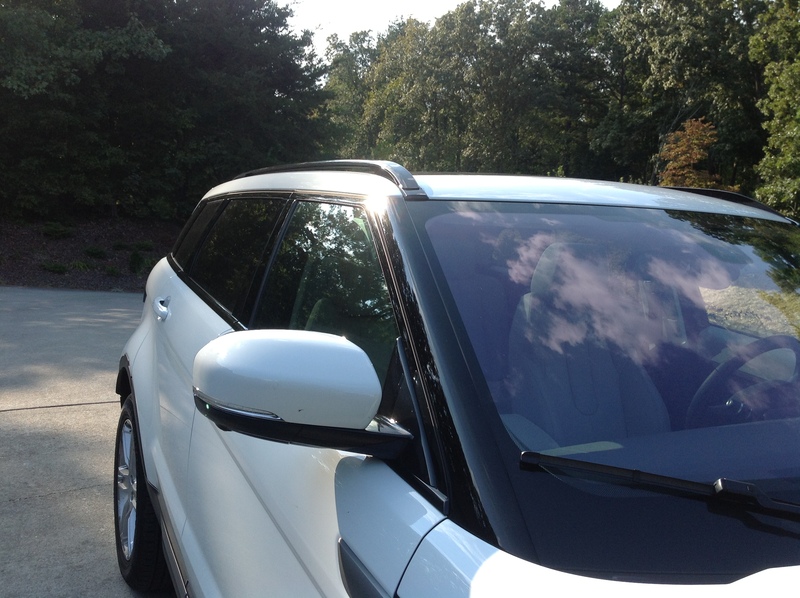 I installed the silver roof rails on my black Evoque Prestige today by myself. It took me about 90 minutes for the first one fiddling around to get everything to fit just right; I guess I'm slow. Then it took me 30 minutes for the second one. All in all, I'm very pleased. It really finishes off the look.